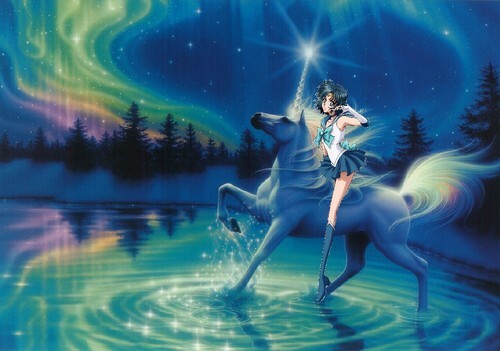 Sailor Mercury rides on her Beautiful Unicorn. . HD Wallpaper and background images in the Sailor Mercury club tagged: photo sailor mercury unicorn.